Fallout Shelter is a new mobile game by Bethesda Softworks that allows you to control a futuristic underground vault, courtesy of Vault-Tec. 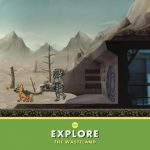 In this iOS-only game (Android release TBA), your goal is to build the perfect vault, keep your dwellers happy, and protect them from the dangers of the Wasteland. You’ll get to know different people in your underground vault, keep them happy and give them employment. Also, you can give them outfits, weapons and have them undergo training. 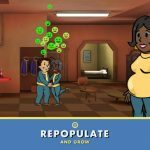 This is a fairly new title with an interesting premise – and a deceptively cheery image/avatar on the iTunes Store – and we’re here with a Fallout Shelter strategy guide to help you run the perfect vault. 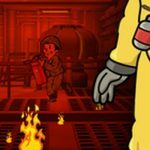 This is the first of several parts of Fallout Shelter tips and tricks, so do join us as we help you to this end. This is especially true with rooms that will produce food, electricity, and water – your dwellers’ basic needs. It’s a good idea to make two or three such rooms that are built closely to each other, thus allowing you to place more dwellers and increase productivity. So how does this tip work? It’s very simple – for example, you’ll have an extra-wide facility if you place three diner pieces adjacent to each other. This would result in more food for your people, but the caveat here is that this would also result in more electricity used. All dwellers have specific traits that correspond to them – these include Agility, Charisma, Intelligence, Luck, Perception, and Strength. Before you have someone work in a building, be sure you’ve checked his or her personality. Each building is tied to a trait, so this will help you in choosing the right people to work there. Before you send your dwellers outside to explore, you should make sure they are equipped properly with the right weapons and protective outfits. You’ll also want to send out a dweller who is stronger than the others, with an ample supply of RadAway and Stimpaks. This would give them a better chance of surviving in a contaminated setting. Of course, you’ll have to send your dwellers back into the vault once they’ve found some loot, or if you notice their health is running low. Yes, you read that correctly – you can revive a dweller who has kicked the bucket for one reason or another. Roach attacks, Raider attacks, or the dangers of a contaminated outside world – these could all result in a dweller dying, though you can spend bottle caps to bring them back to life. Be sure you’re reviving someone who can help your cause, specifically stronger ones or those whom you regularly send out to explore. The vault door is one of the first things you should upgrade, though you can only do that if you’ve got enough bottle caps on you. Your vault door, after all, protects you from the evil Raiders, who can barge into your vault and cause havoc when they attack your dwellers. 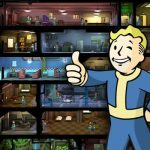 For more tips and tricks on how to build the perfect vault in Fallout Shelter, please check our guide right here. Additionally, if you need a guidance on how to get more resources in the game, you may want to take a look at our dedicated article, that deals with resource generation. I suggest that the vault door should never be upgraded. When enemies attack, you are kind of ‘stuck’. Can’t build. Can’t give birth. Can’t rush. You have to just wait until the enemies come in. All the while they steal resources. I suggest a merged 3-room power (or nuka-cola) right beside the door that includes 6 people with your most powerful weapons… eventually add 2 more at the vault door once you have a maxed stat level-50 dweller.